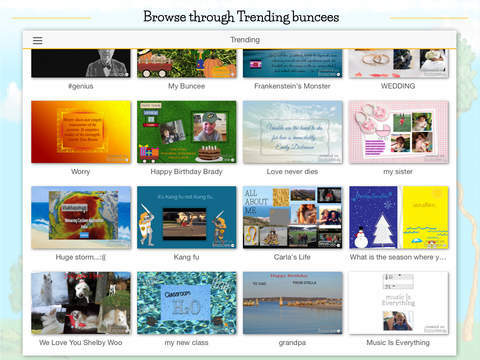 Buncee Pro lets you quickly and easily create greetings, school projects, collages, artwork and more! Use your own photos, text and drawings, along with our huge library of backgrounds and stickers to personalize your buncee creation. Then share your buncee by saving it to your photo stream, posting it to your favorite social networks, or e-mailing it to friends and family. Start creating and have fun with buncee pro today! 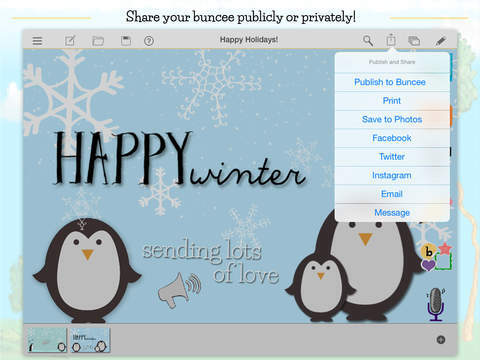 * Email buncees directly from the app, or save them to your photo stream, and print your high resolution buncees! 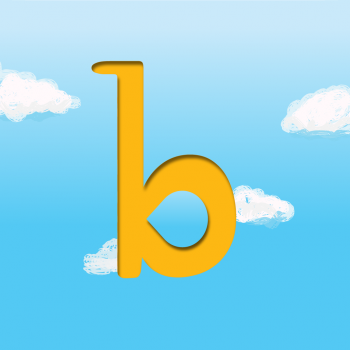 Check out our free universal iOS app buncee bits – or visit www.buncee.com or www.edu.buncee.com and sign up for a free subscripton to create robust buncees from any computer. buncee.com and edu.buncee.com offer robust creation tools like the ability to include YouTube videos, audio recordings, multiple slides and more. You personalized buncee creations can be shared across the web via email or social media, or saved via JPG and PDF to print at home. Standards: Making Content Meaningful. Tools: Presentations, Presenter, Timeline. Disciplines: All. Grades: 3-5, 6-8, High School, Higher Ed., Pre K-2. Verbs: Explain, Illustrate, Present, Summarize, Timeline, Write. Buncee is a great app! I have used this app to present reading strategies for both my face-to-face students as well as my online. Since my students are pre-service educators, I teach them reading strategies to support their diverse learners’ needs. Instead of having to explain the strategy in class, I posted and had them view it. Yep…I flipped it! The students were able to watch the strategy, pause it and review it. It worked out great! If you like Glogster…well, you will LOVE Buncee! It is intuitive and easy to use! 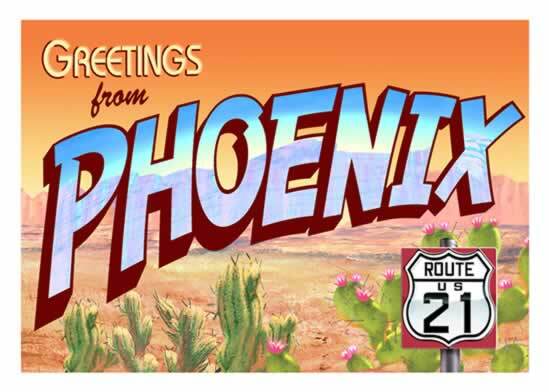 Take advantage of this souvenir and pass it along!